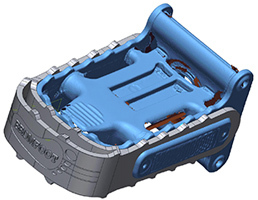 Customs and duty-free in the EU! 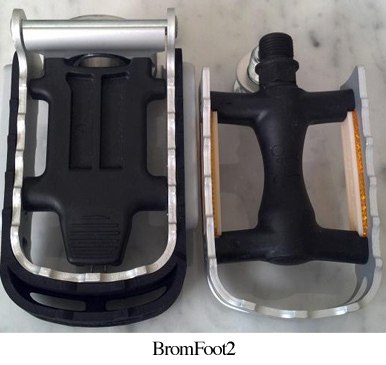 See the Dirty Brompton blog review of the Bromfoot2! 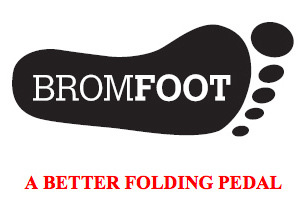 So it feels a little unbalanced, unstable, and inefficient. 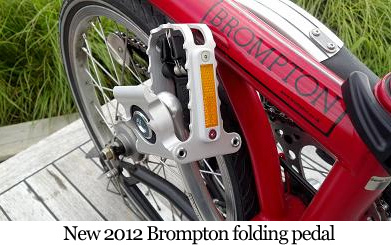 And the original folding pedal, with its gently curving teeth, was also downright slippery underfoot! 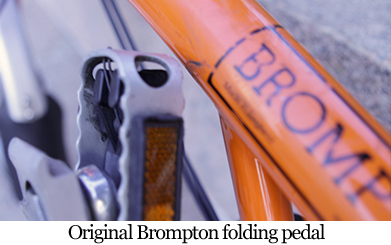 More importantly, the folding pedal can scratch your frame when you fold it too far! 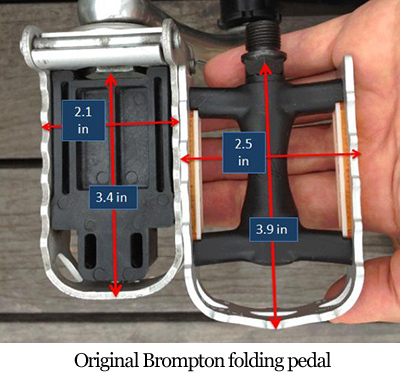 Even with the latest version, the pedal can slip past the stop if it isn’t lined up with the crank when folding. 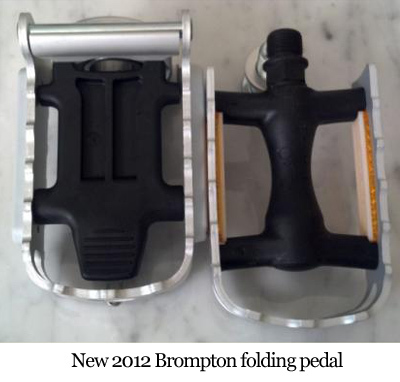 And if you upgrade to the new folding pedal but have older cranks, it can easily fold past and strike your frame. 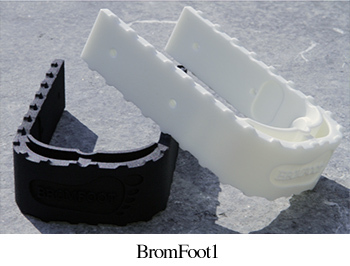 Plus, the teeth on the new folding pedal are so sharp they can even cut your hands! 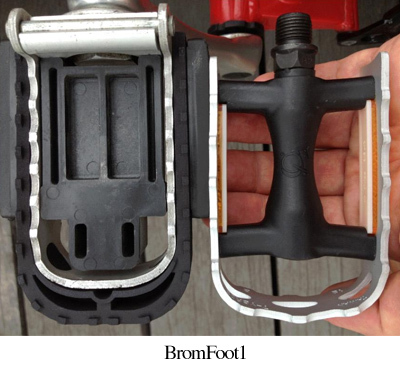 But we still LOVE the Brompton folding pedal, and we certainly didn’t want to replace it with an inferior folding pedal, a removable pedal, or god-forbid a NON-folding pedal! 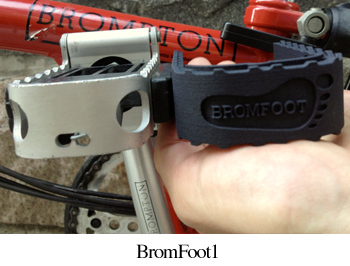 So instead we created a simple extension attachment that bolts directly to your existing Brompton pedal. 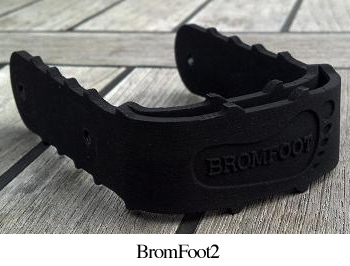 We call it BROMFOOT. 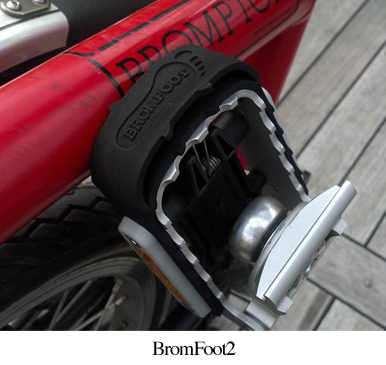 BROMFOOT installs easily to your folding pedal, using the existing reflector screw holes, and with all needed hardware included. 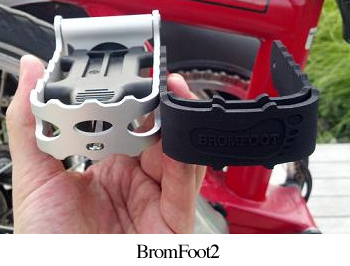 BROMFOOT makes your Brompton folding pedal longer, wider, and grippier (check out those extra TEETH!). 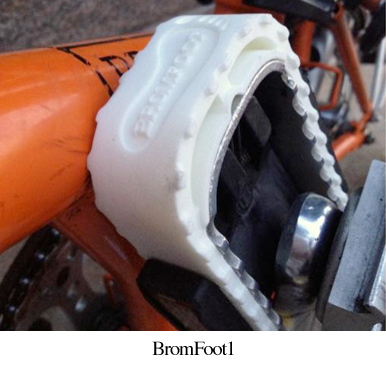 And your folding pedal will never again scratch your frame! 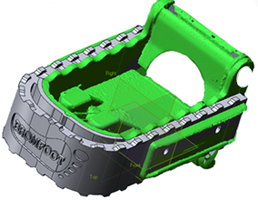 To learn more, watch this video! 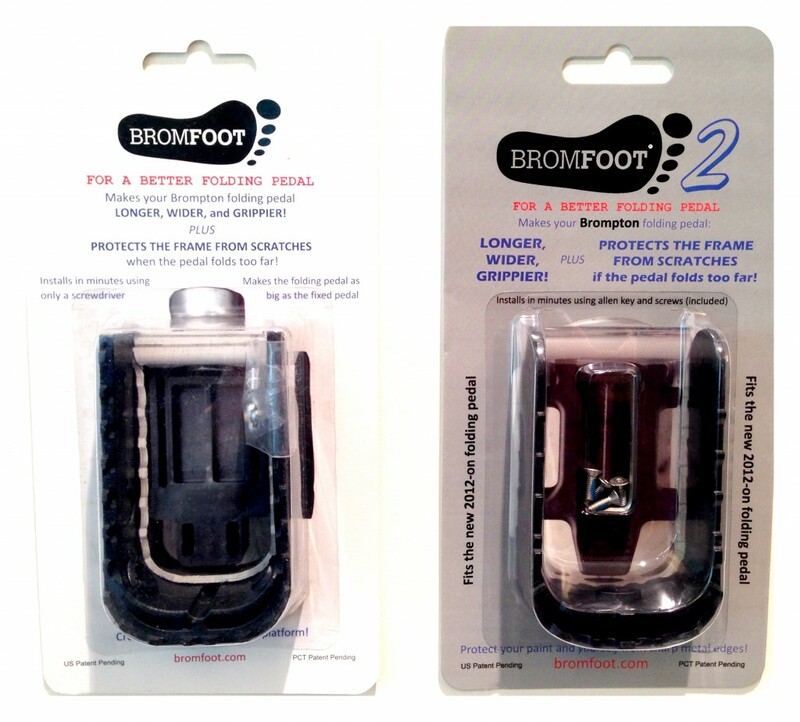 BROMFOOT1 & BROMFOOT2 are shipped beautifully packaged with all needed hardware and instructions – perfect for gift-giving!